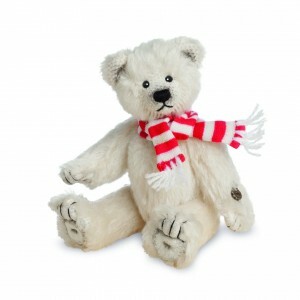 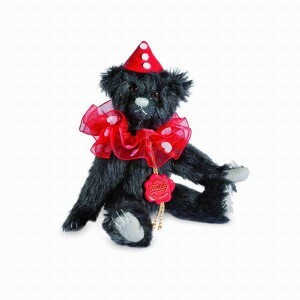 Beautiful teddy's from 4 up to 14 cm. 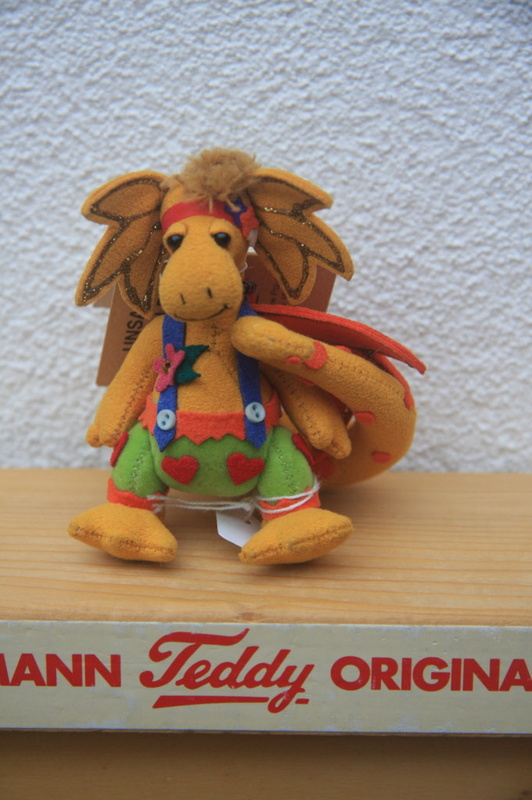 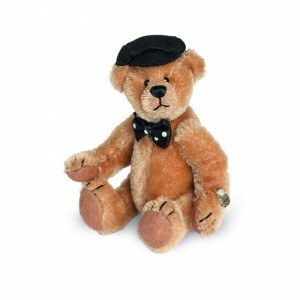 These teddy's and animals are for adult collectors only, not a toy. 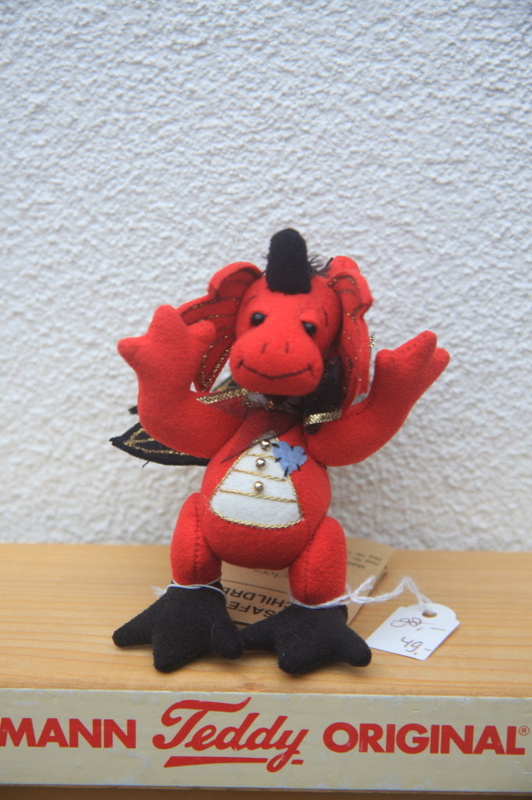 Uit de Dapples Dragons Serie Custard, ong. 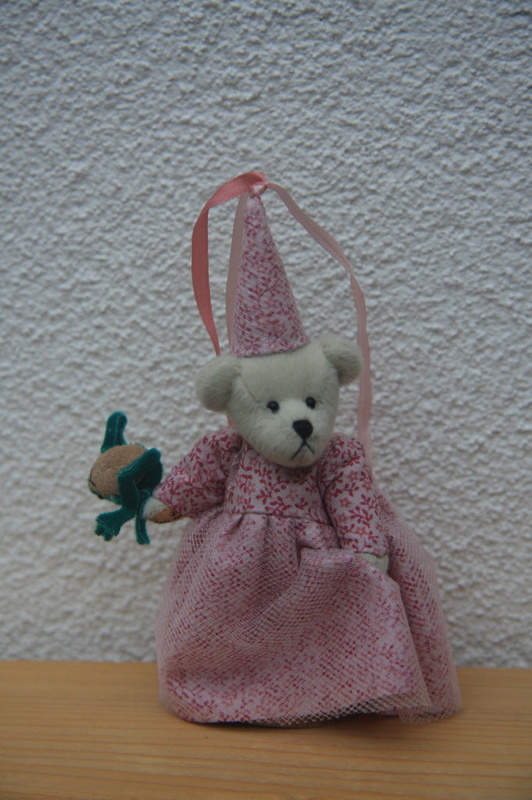 7cm. 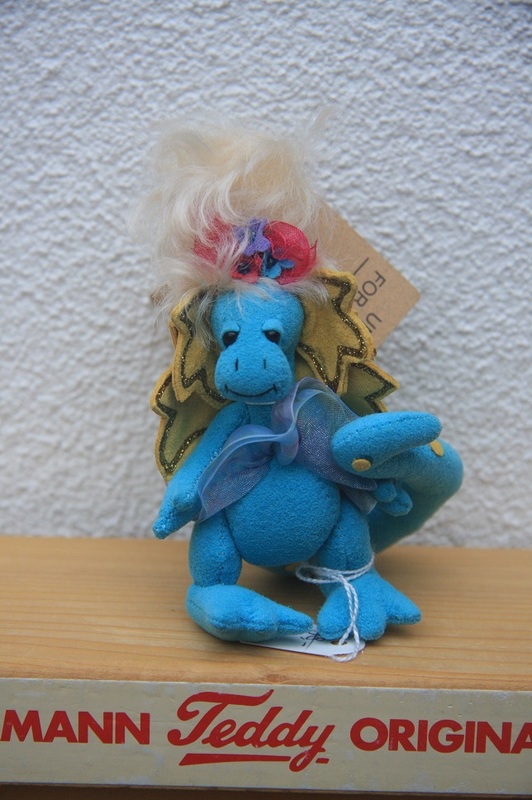 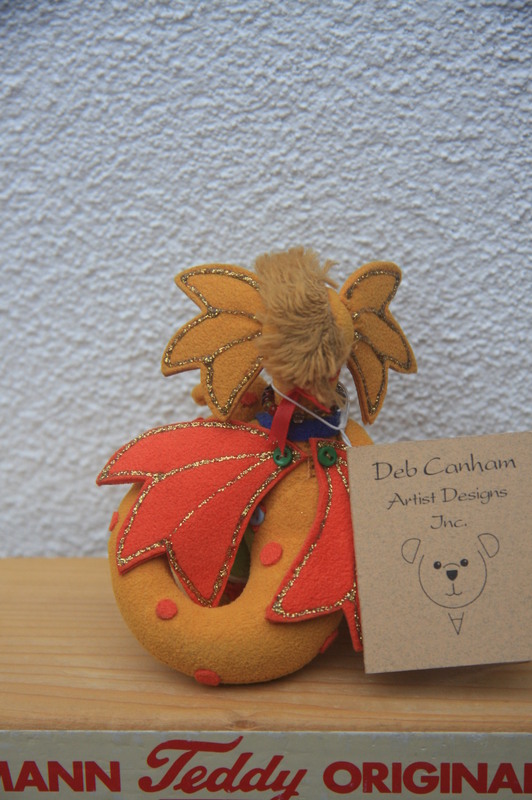 Dapples Dragons Stan, Deb Canham 7cm. 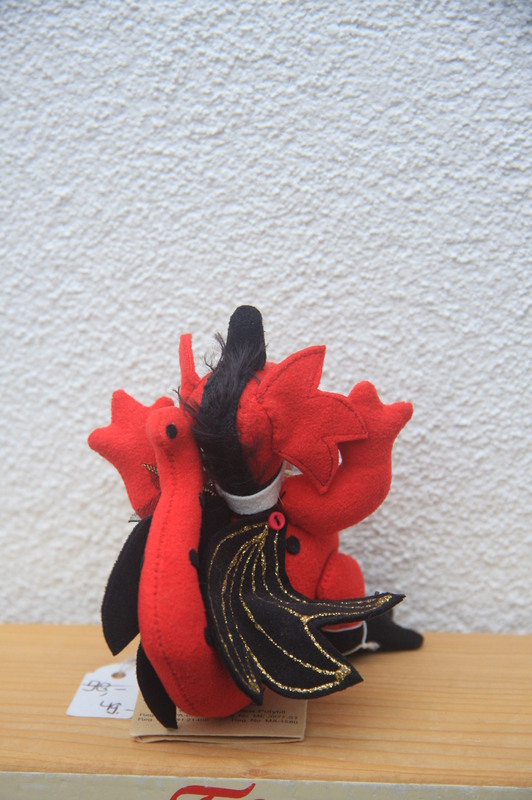 Uit de Dapples Dragons Series, Stan. 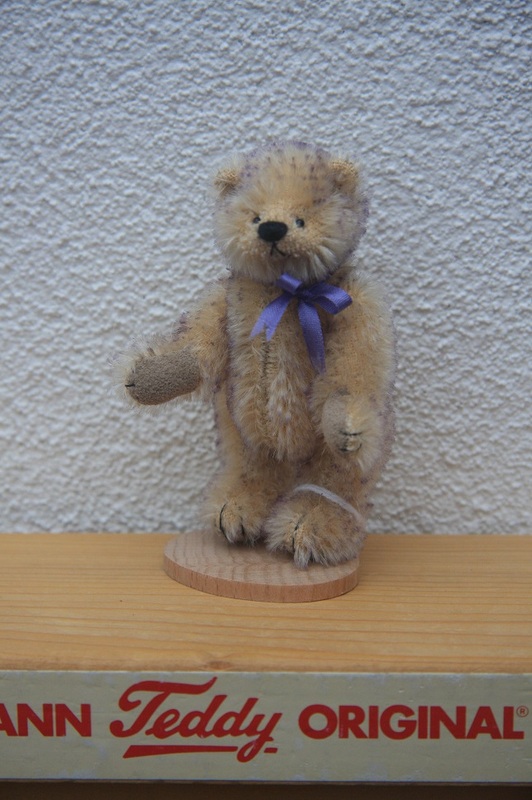 Made of mohair and 5-way jointed. 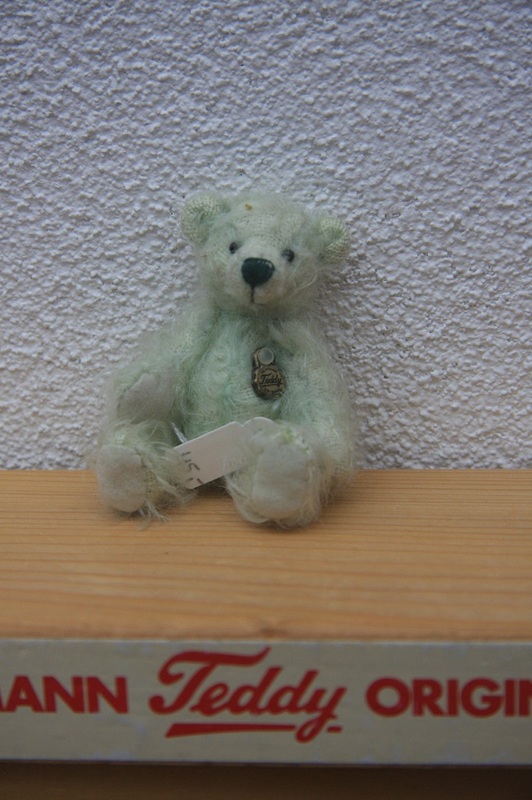 From the Friends Collection, Brighton. 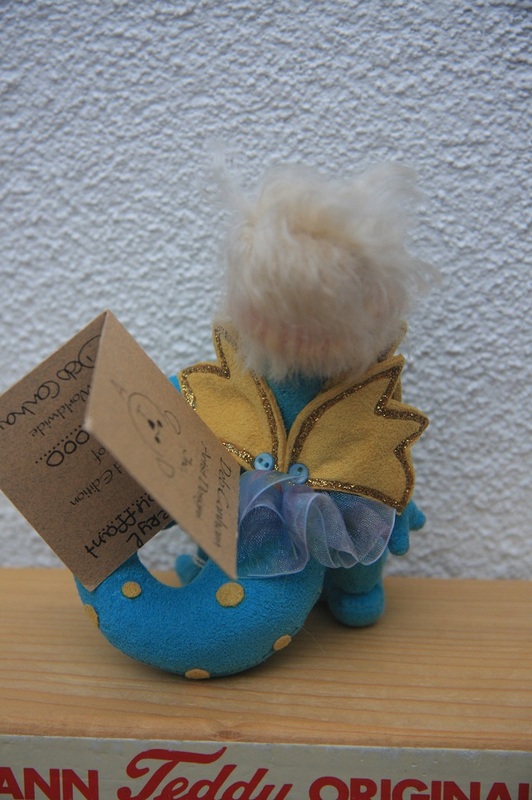 From the Fairy Collection, July. 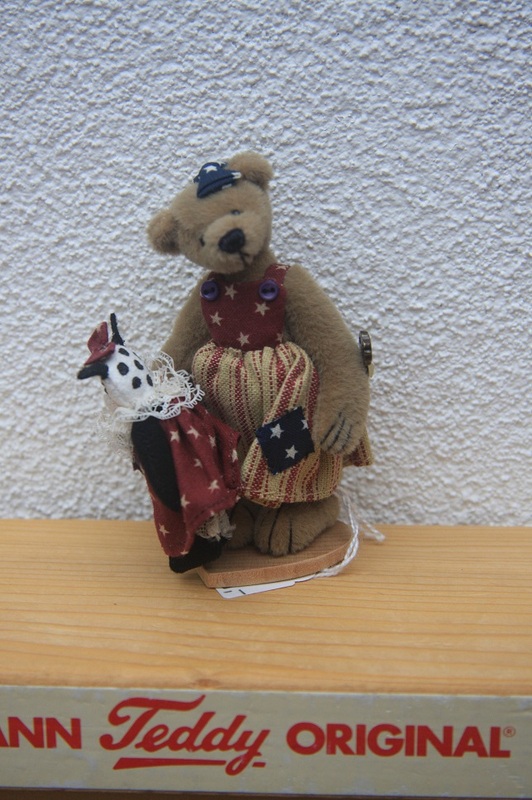 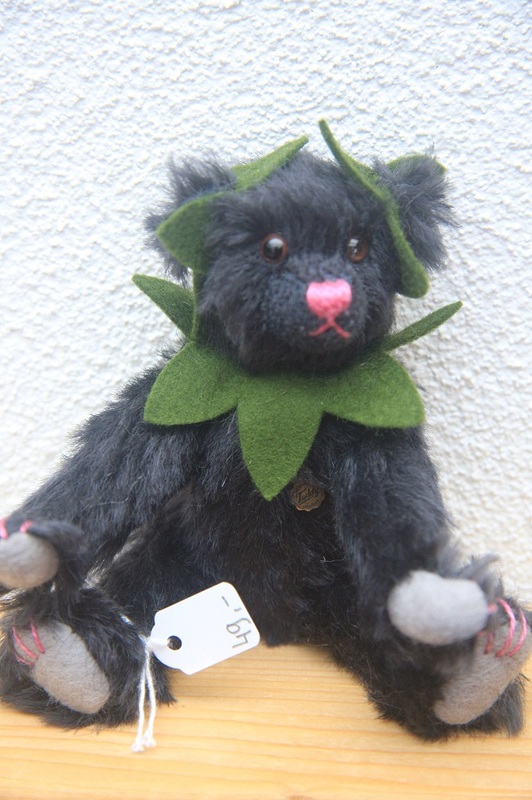 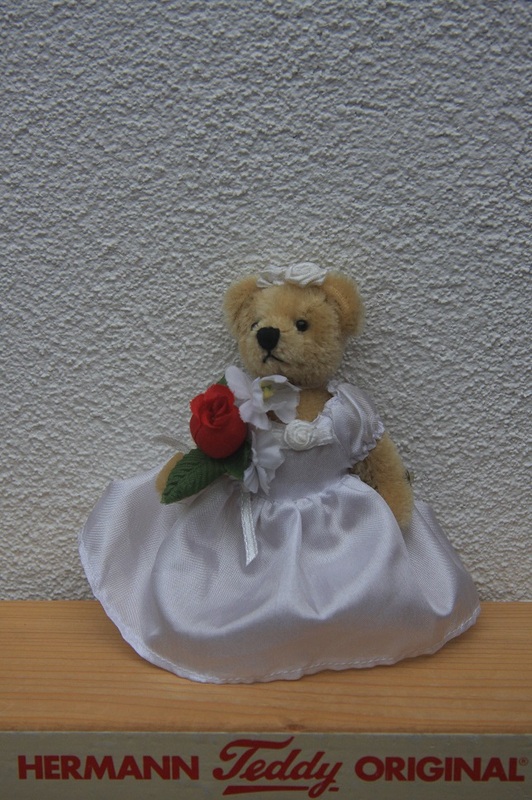 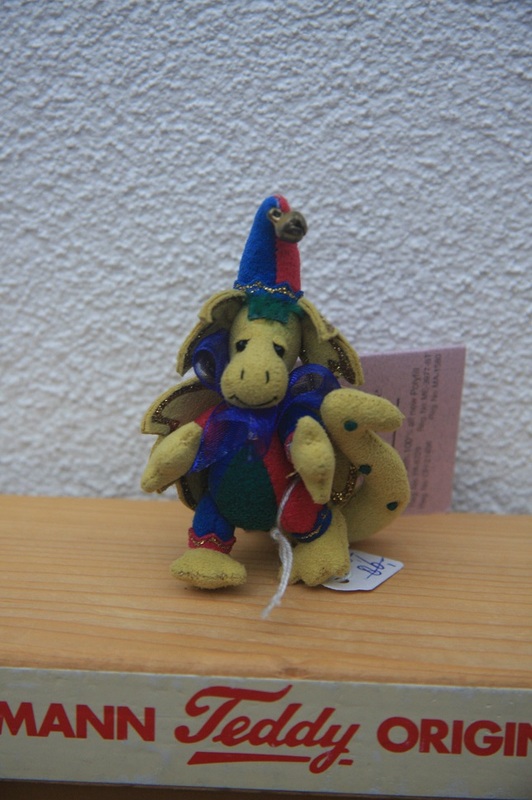 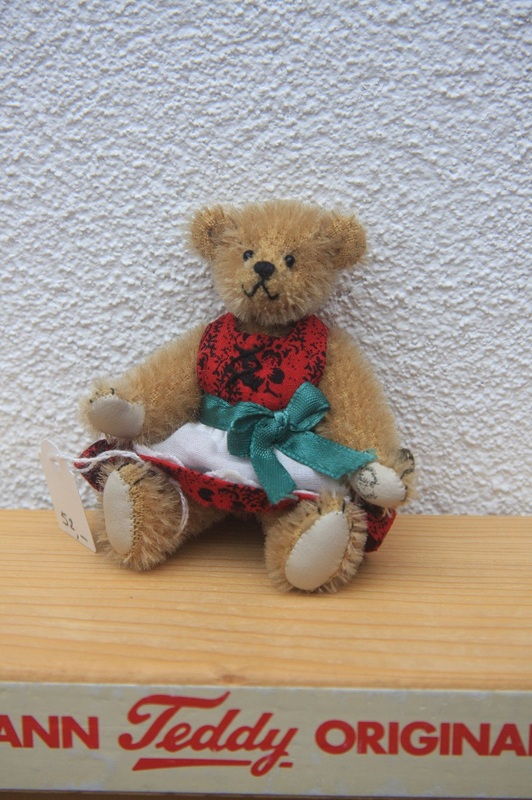 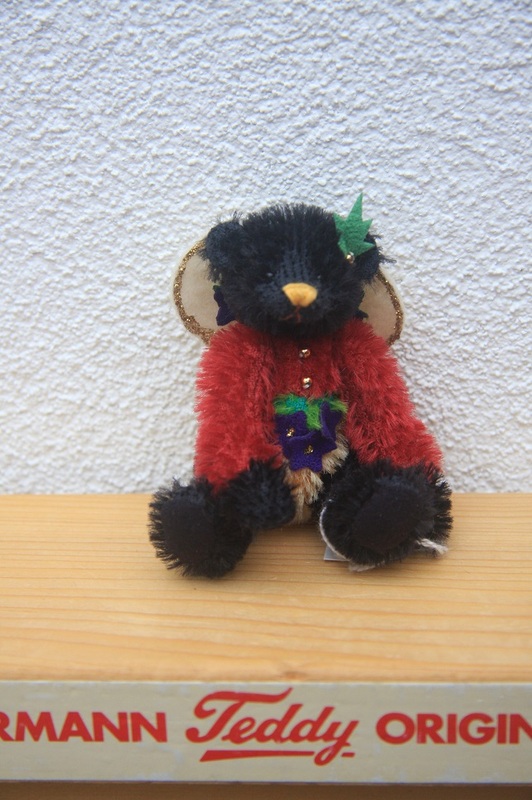 Antik Bär mit Kleid, 10cm. 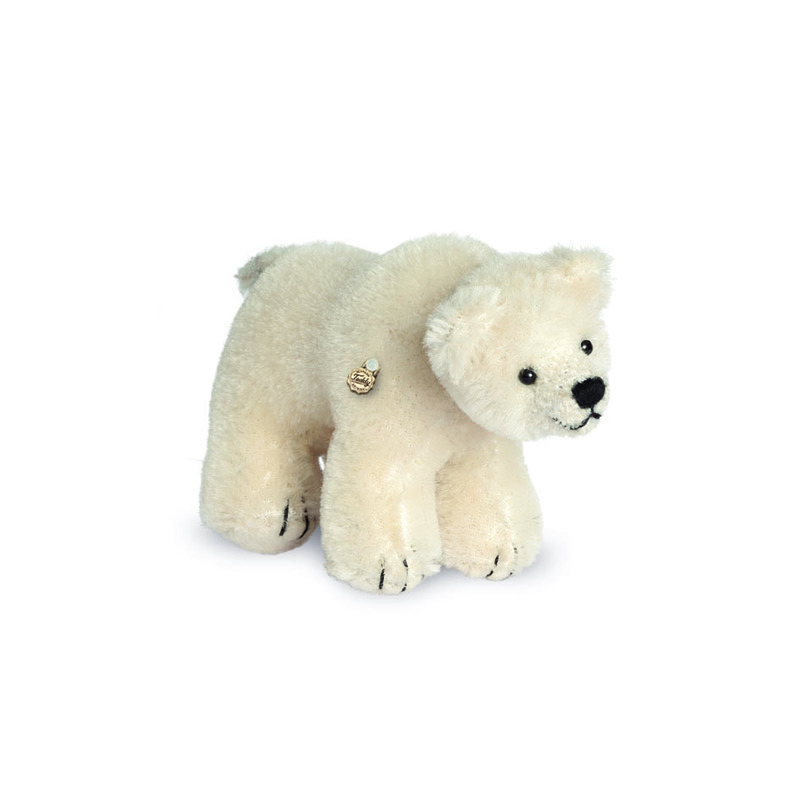 Hermann Teddy polar bear, 10cm. 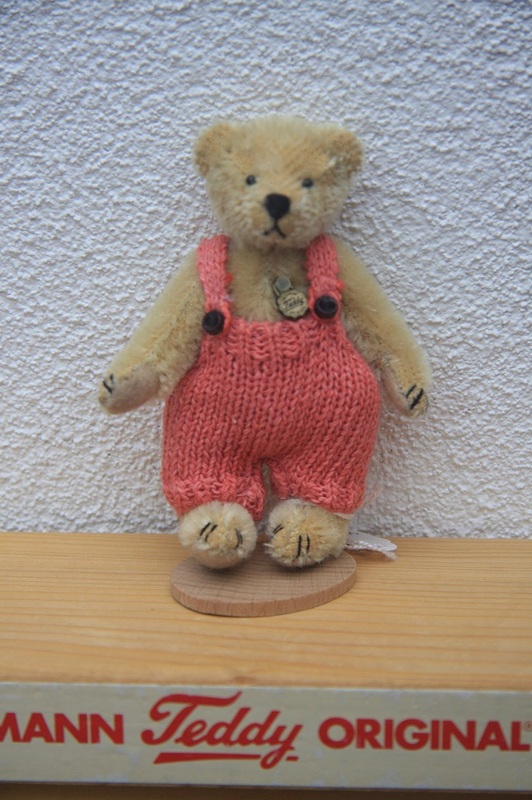 Made of mohair and 1-way jointed. 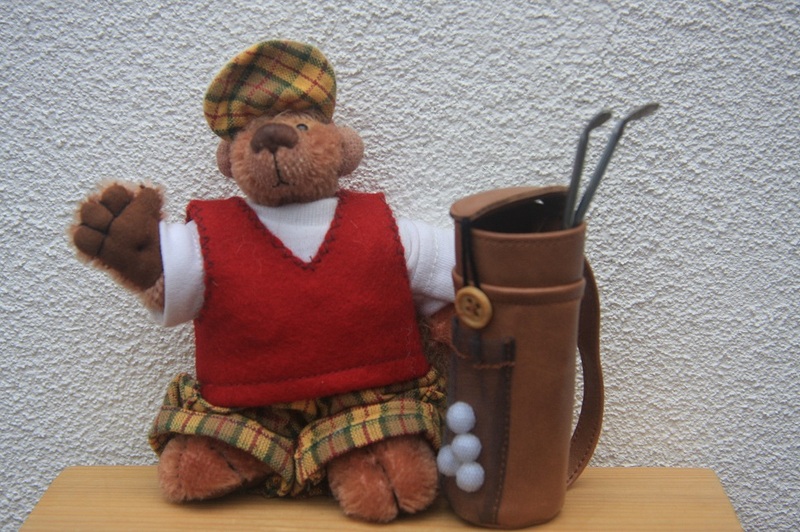 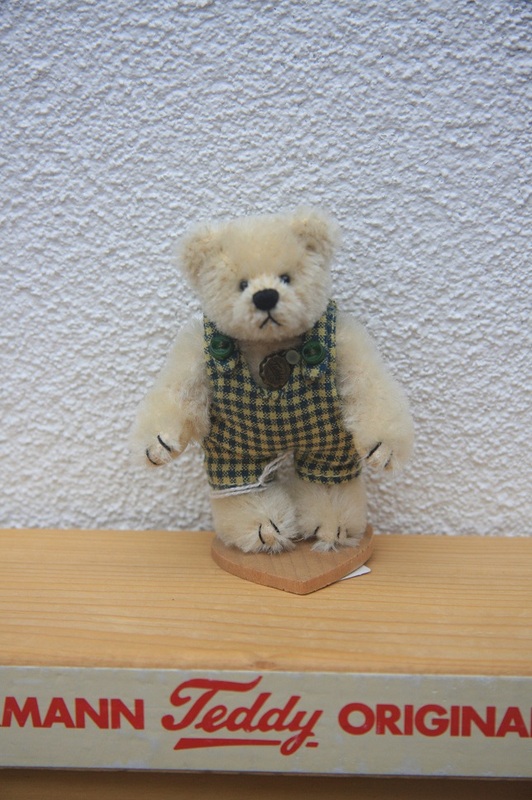 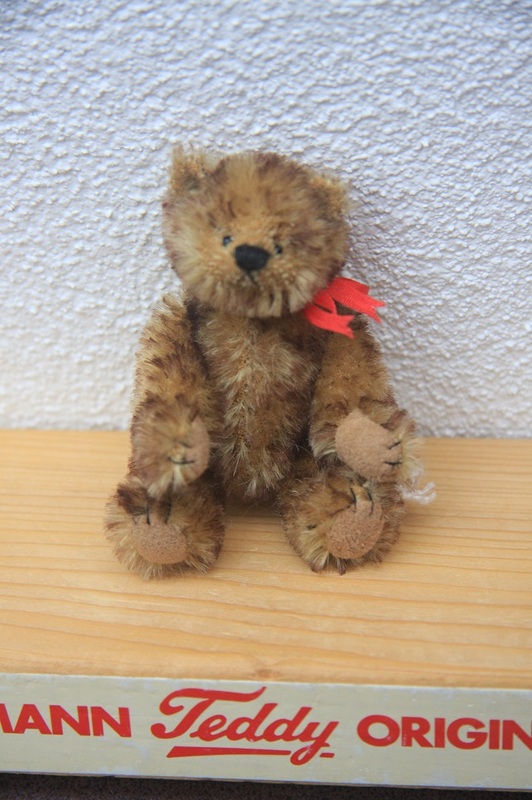 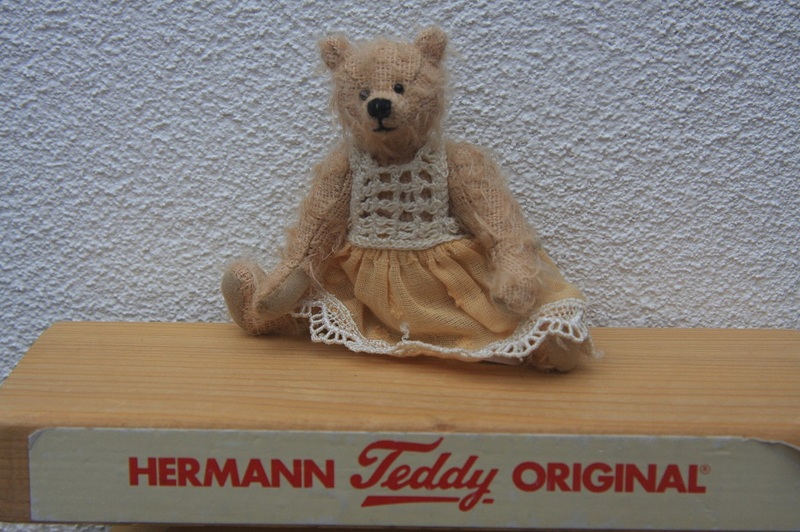 Hermann Teddy brown bear, 10 cm. 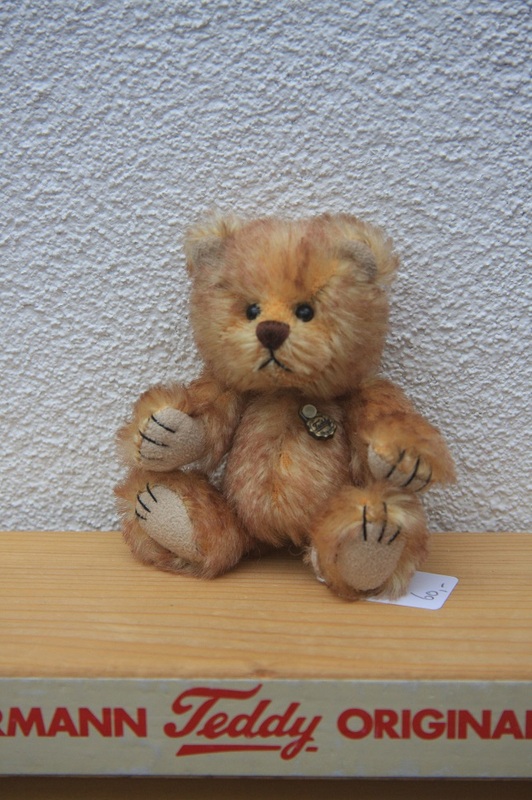 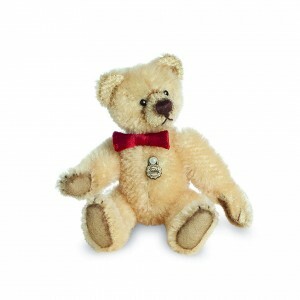 Hermann Teddy antique bear gold, 10cm. 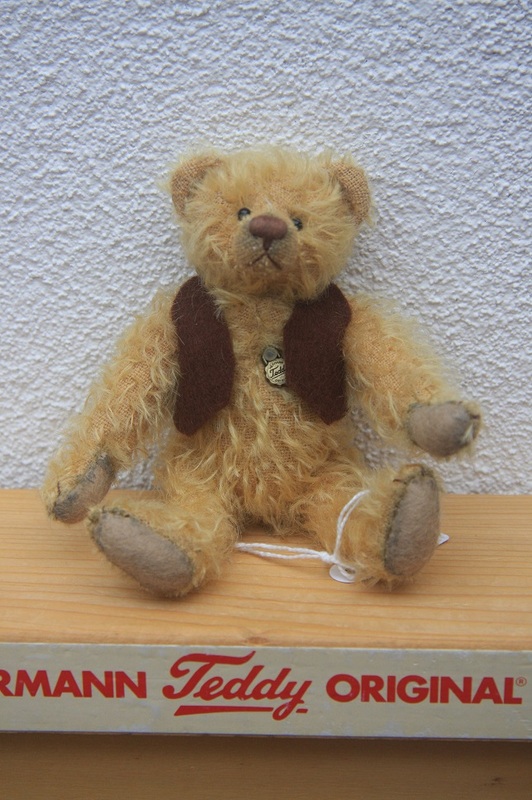 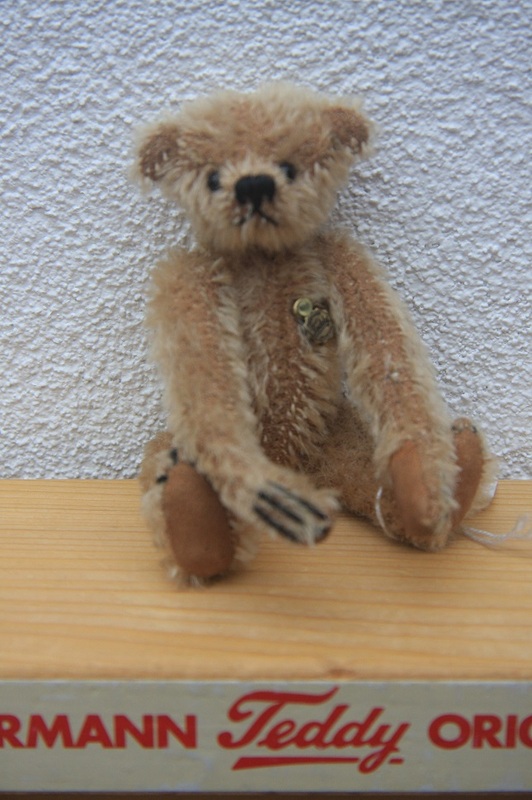 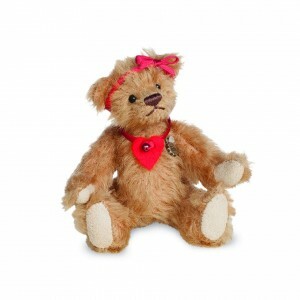 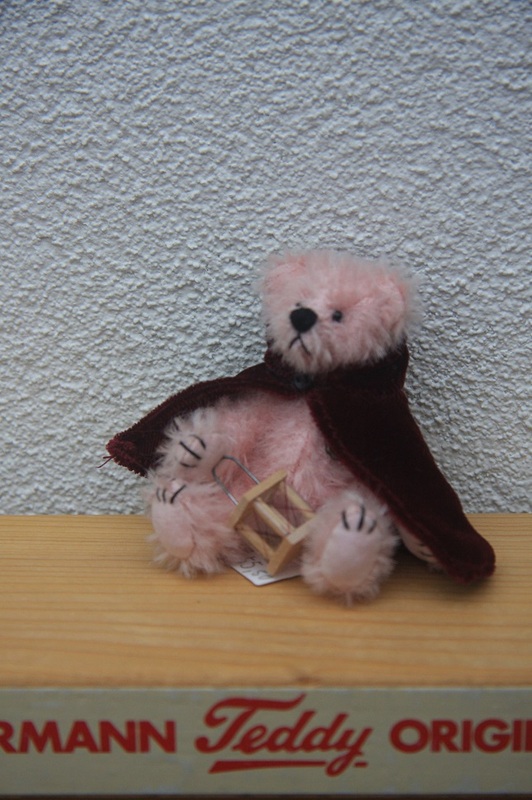 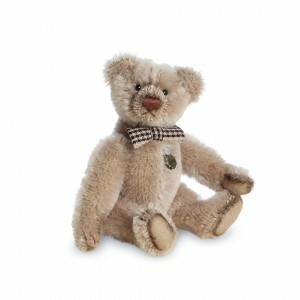 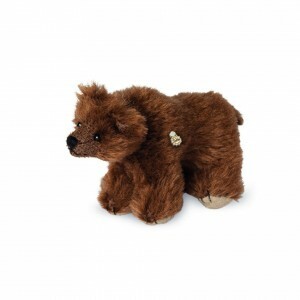 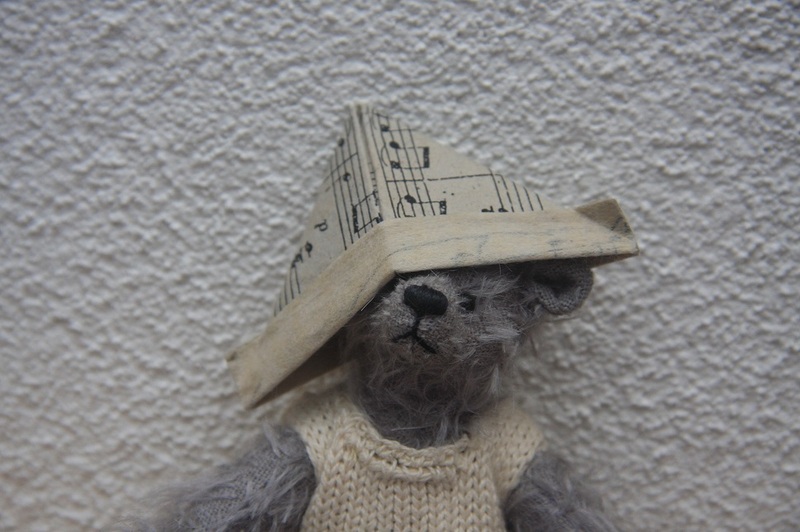 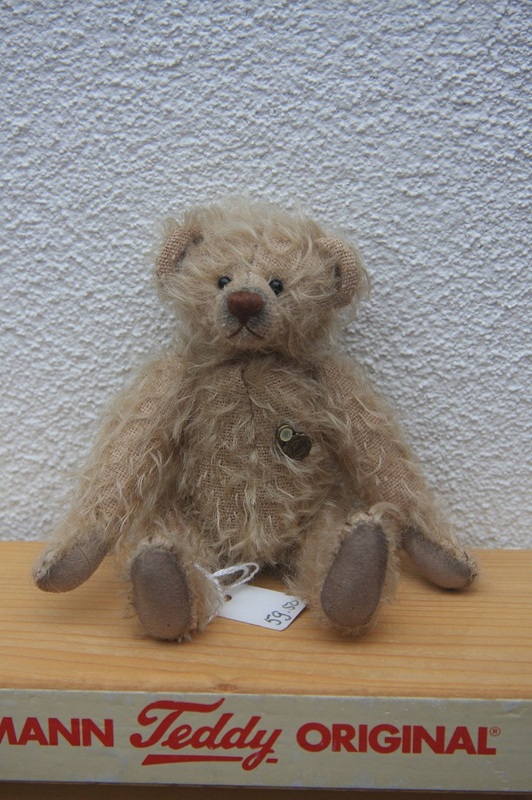 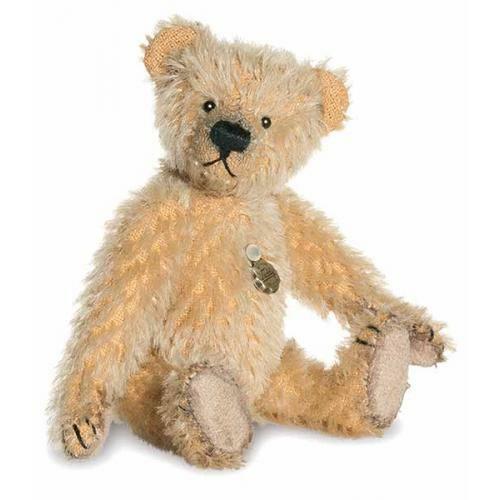 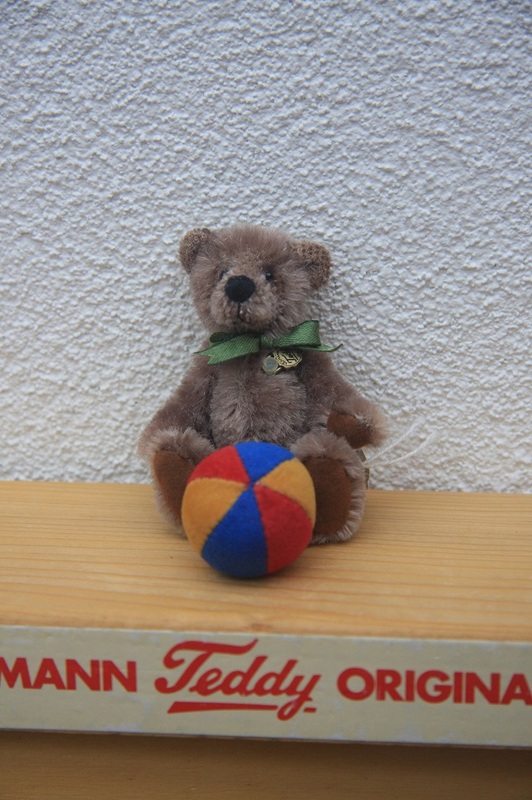 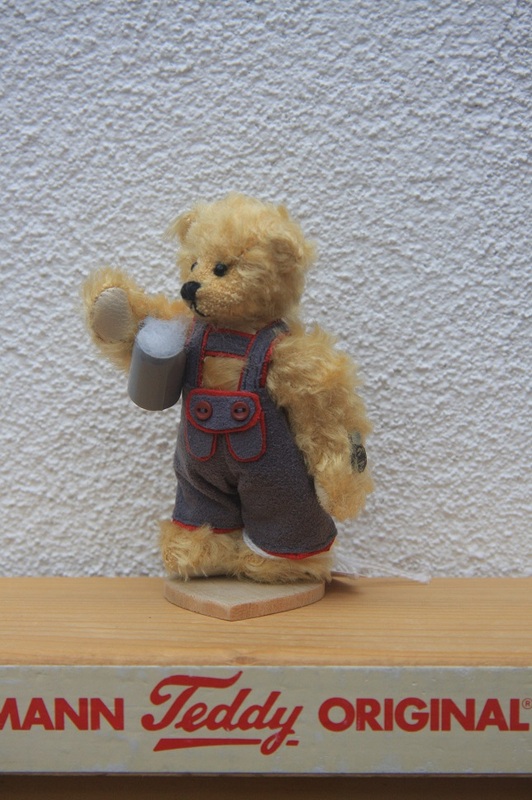 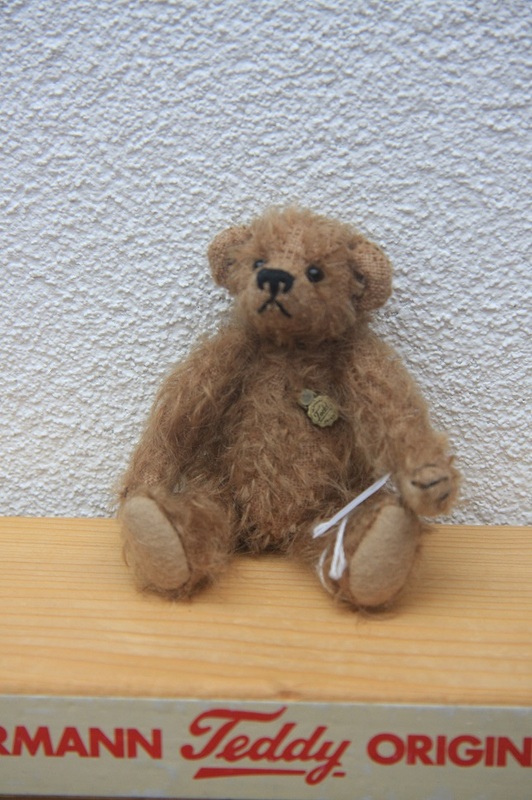 Hermann Teddy antique bear taupe, 10cm. 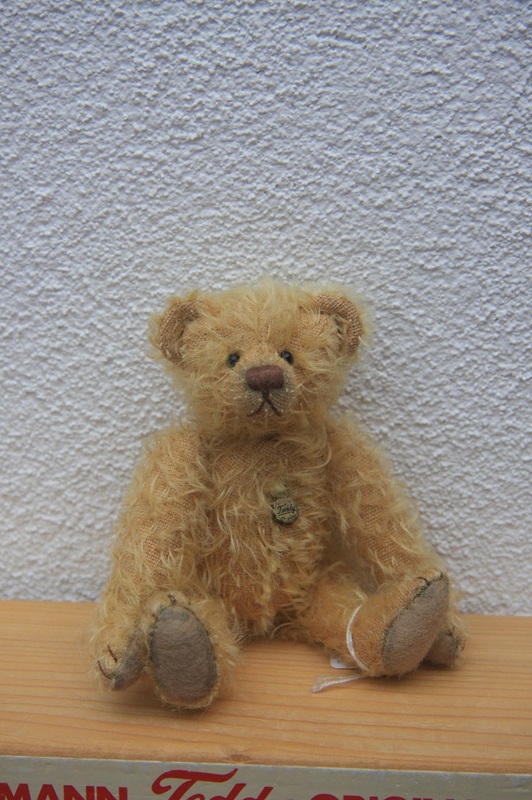 Hermann Teddy ijsbeer met sjaal, 14cm. 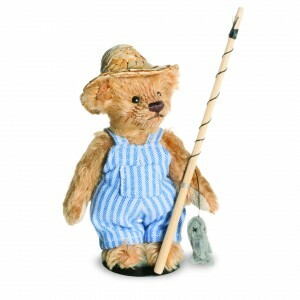 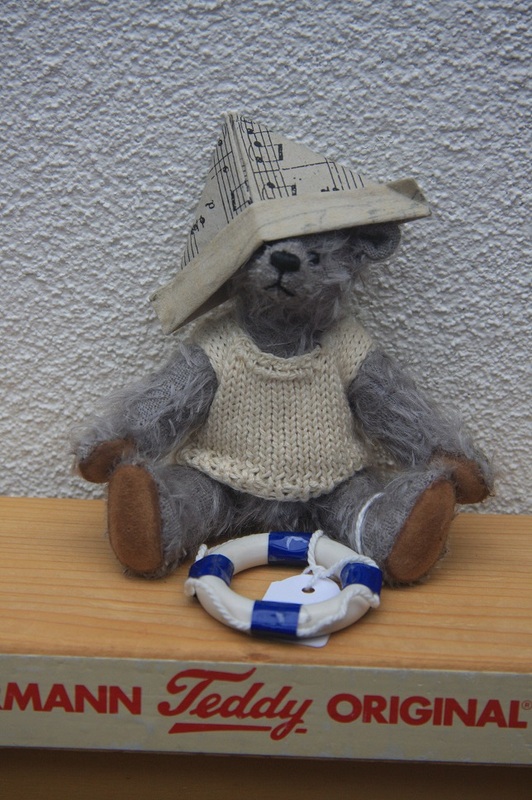 Hermann Teddy Huckleberry Finn, 11cm. 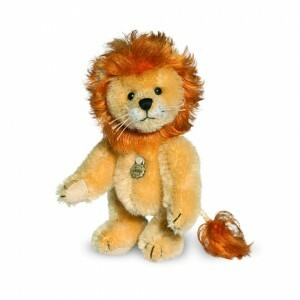 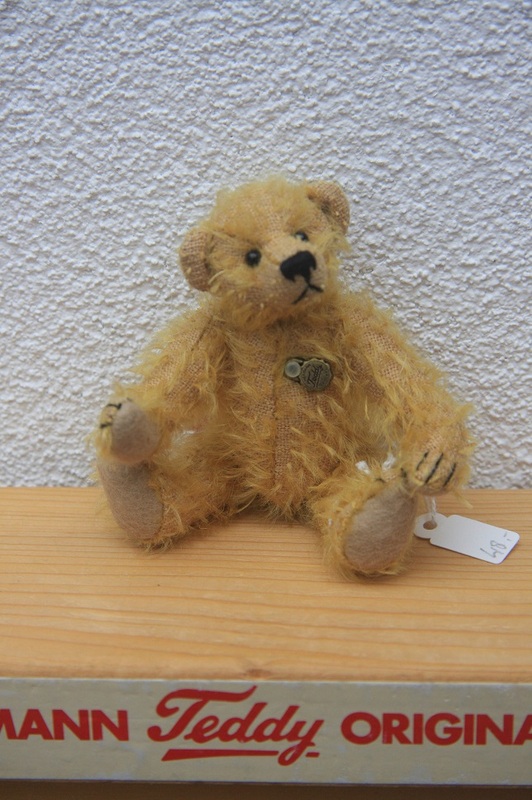 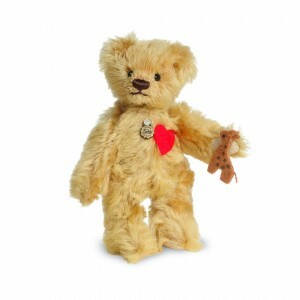 Hermann Teddy antique teddy blonde, 10cm.